Today, there are several web based applications and services that can be accessed with the help of a Google account. While this is useful and convenient for many, it also poses a security risk as all these services gain knowledge about the Google accounts of everyone. What this effectively means is that there is a long list of web services that have the usernames and passwords of user’s Google accounts. If those services get hacked or accidentally leak that information, the damage for individual users could be huge. Moreover, people are also prone to phishing attacks as some of these pages can be created specifically with the intention of stealing Google account information. So what security steps can you take to stay protected against this specific risk? One way is to take the extra few minutes of effort and create accounts with each of these services. Whenever you wish to use a particular service, use the unique login ID and password associated with it. If you find that you have too many passwords to remember, you can always make use of an effective password manager like LastPass. 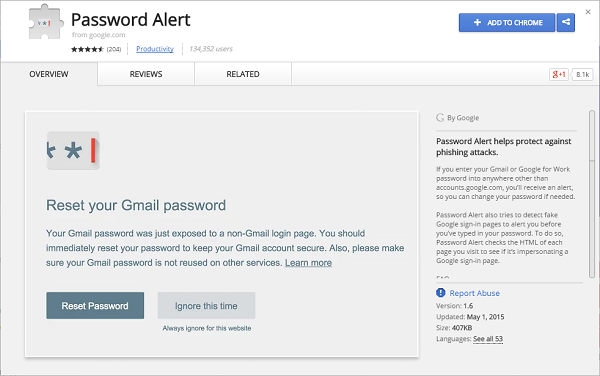 In order to combat this threat, Google has recently released a new Google Chrome extension called Password Alert. 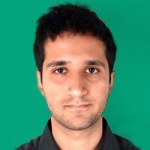 This is a free open-source Chrome extension that protects Google apps and related accounts. Once installed, it the Chrome extension shows a warning when a user types his Google password into a site that is not an official Google page. This is a good step in the right direction as it helps people avoid phishing attacks and also encourages people to use different passwords for different user accounts for platforms. While this move is not the answer to all phishing concerns, it is a step in the right direction for all Google users. We highly recommend that you make use of this feature while surfing the web. This is really, really great.Password Alert is the best step for all Internet users. An extremely social security and personal security step in today’s Internet Security. Hats off to Google and Google Team. It is really a nice step of Quickheal to give details of Google Password Alert Extension. Wghile a person can hijack all tyhe info on google by hacking, even this info will also get ready for him. Is it not??? What way we are at better stage than presently we are at? The details that Google has are always at risk of getting hacked, but they also have world-class security measures in place to prevent that. This specific feature that is mentioned in this post is designed to prevent people from entering their passwords on unsafe sites or phishing sites. So we as users should make use of it effectively. Dear Users, It’s for all of us to protect ourselves from getting our passwords hacked or phishing attempts that are being tried for hacking.So it’s my request to our internet users to safe guard themselves..